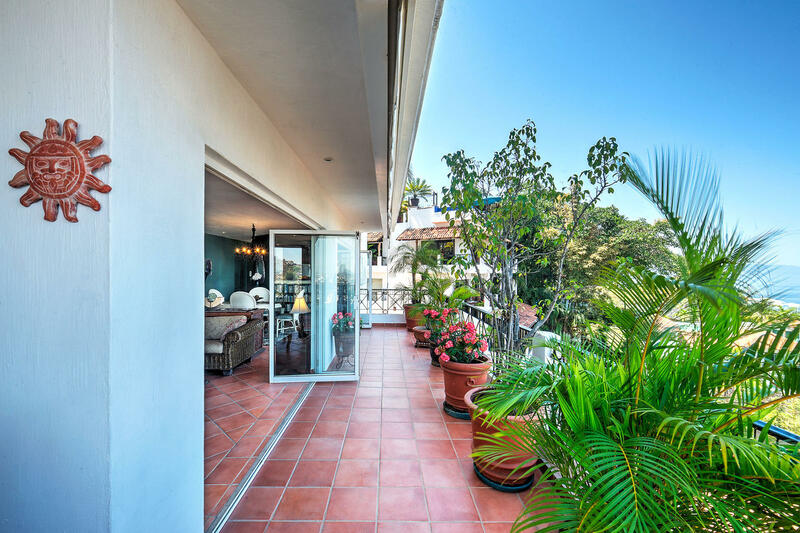 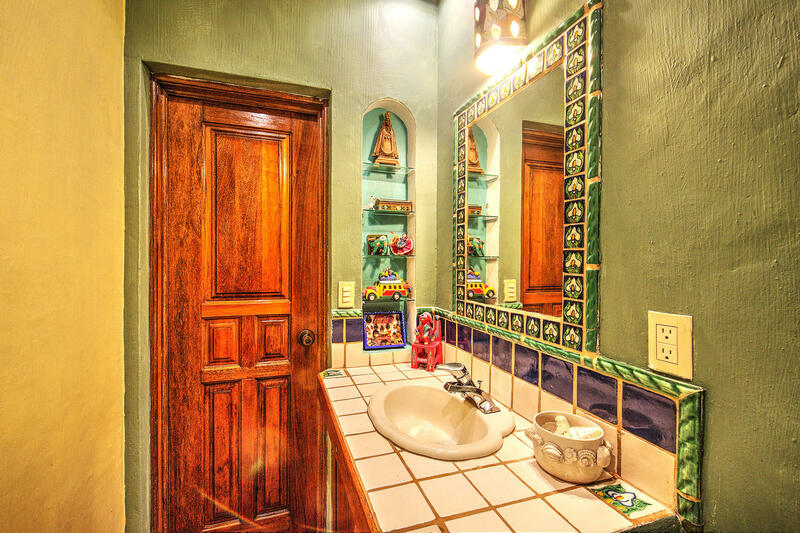 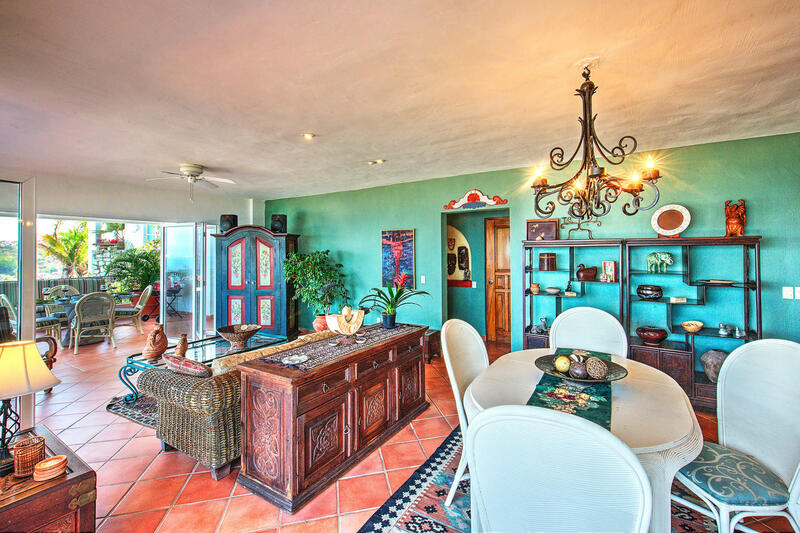 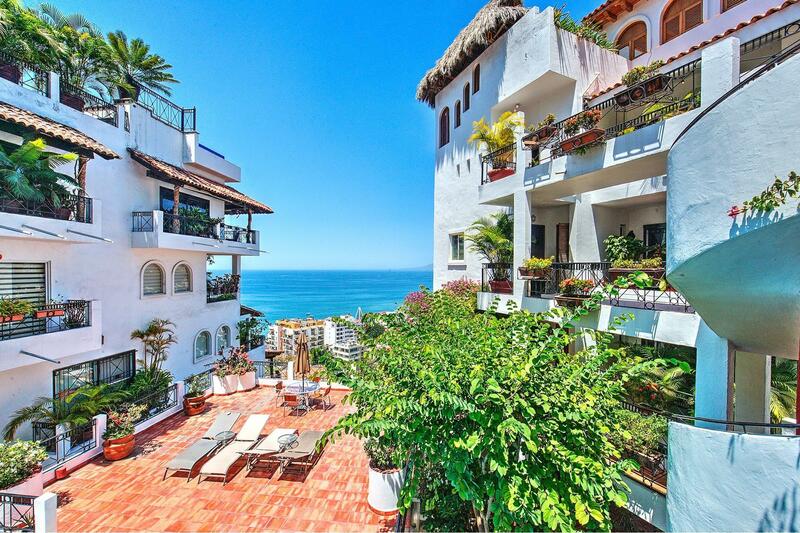 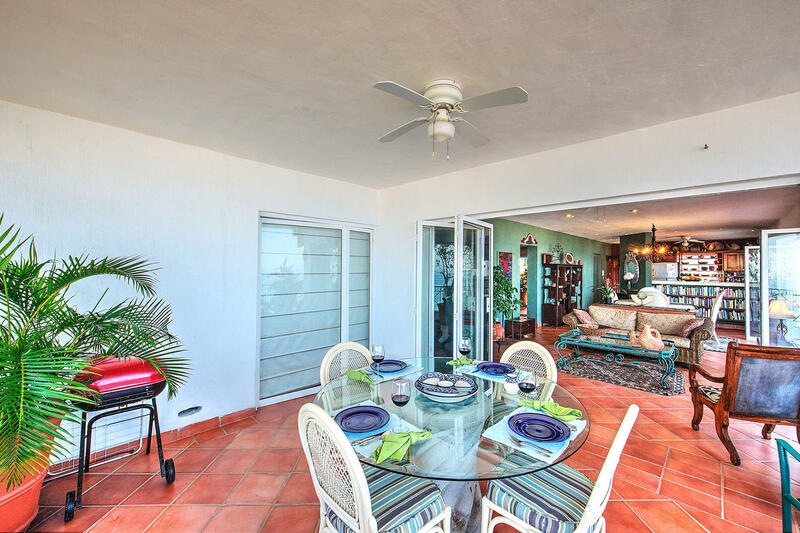 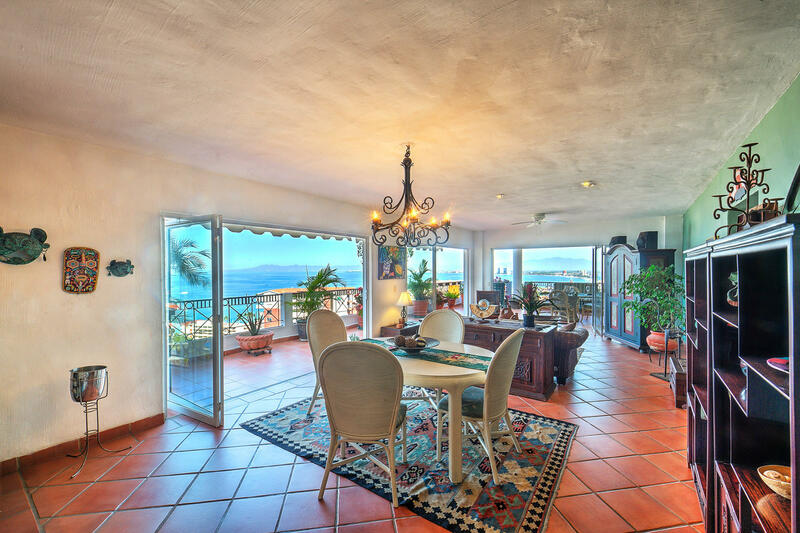 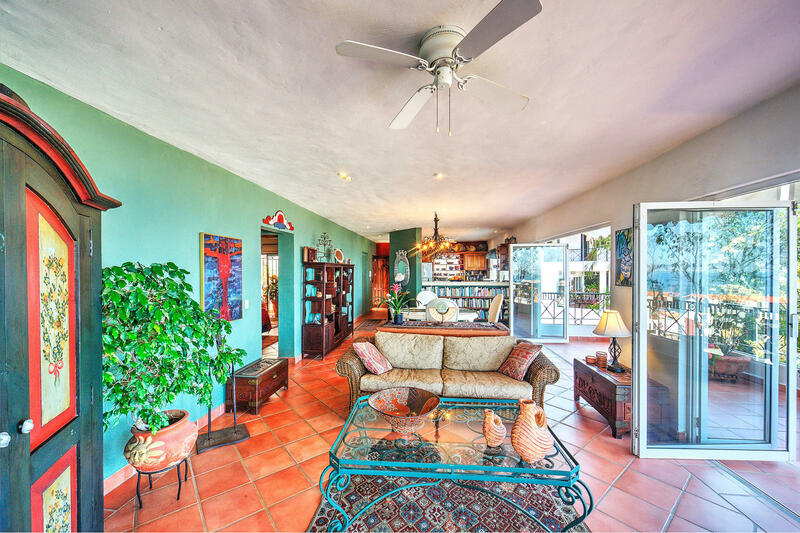 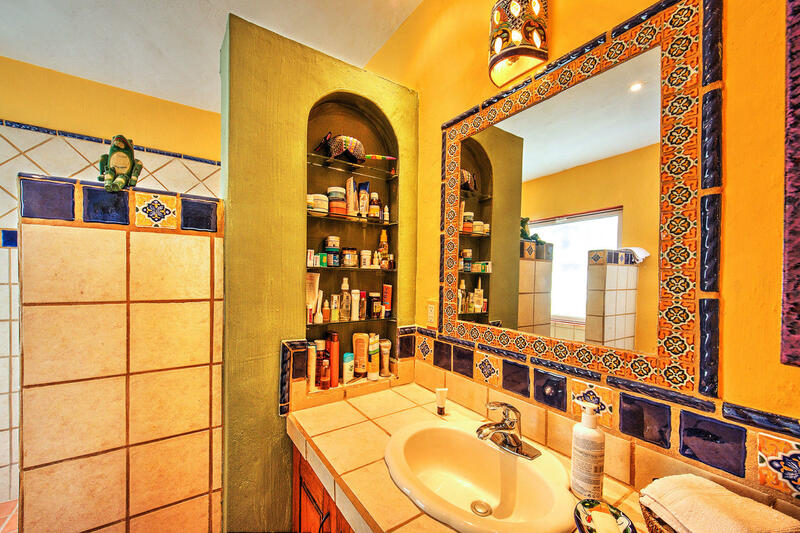 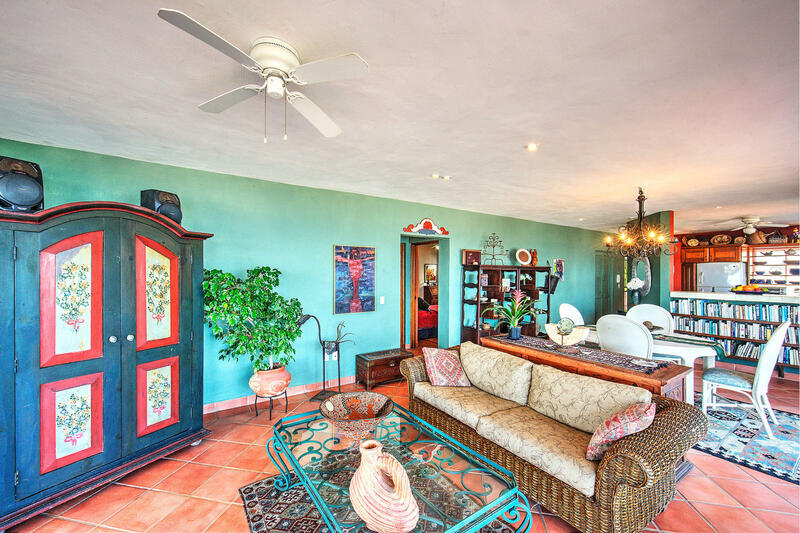 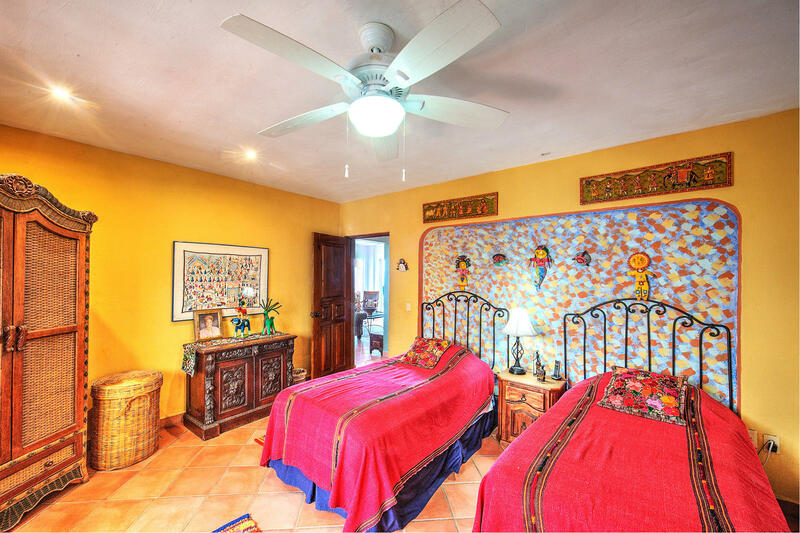 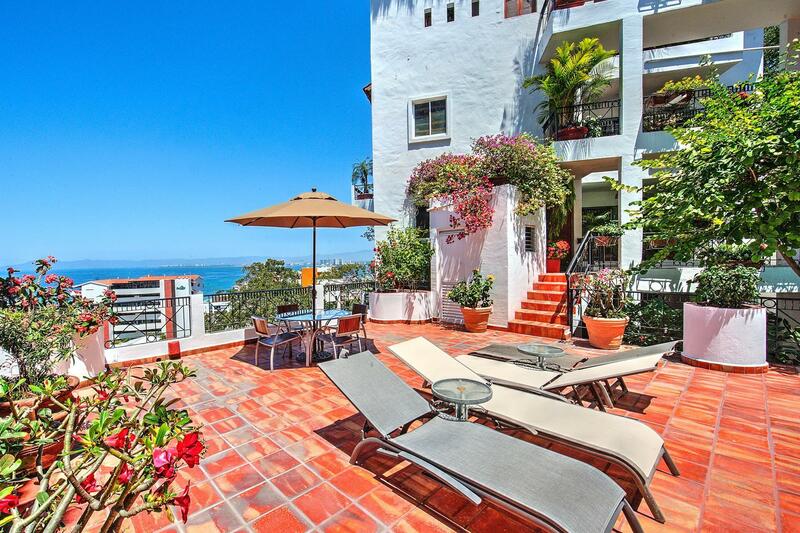 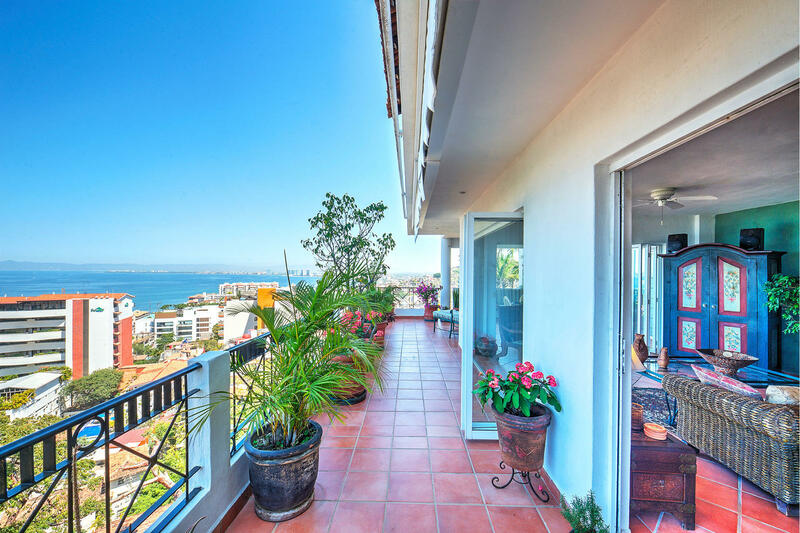 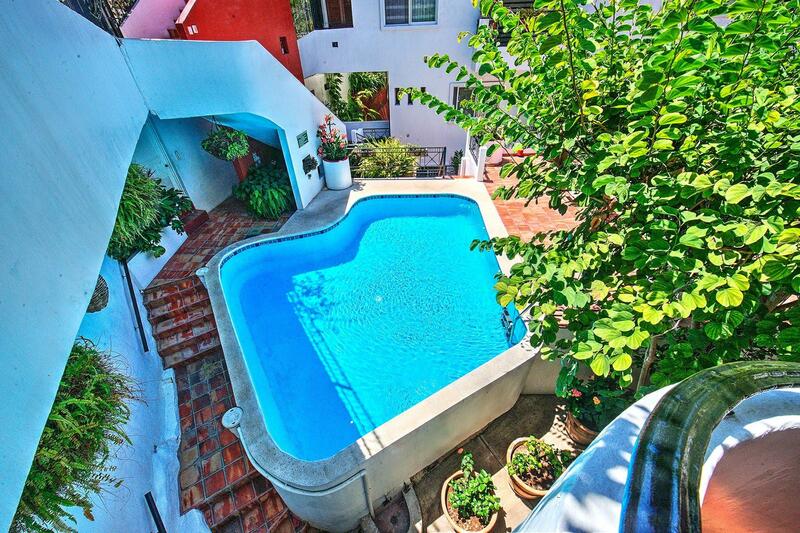 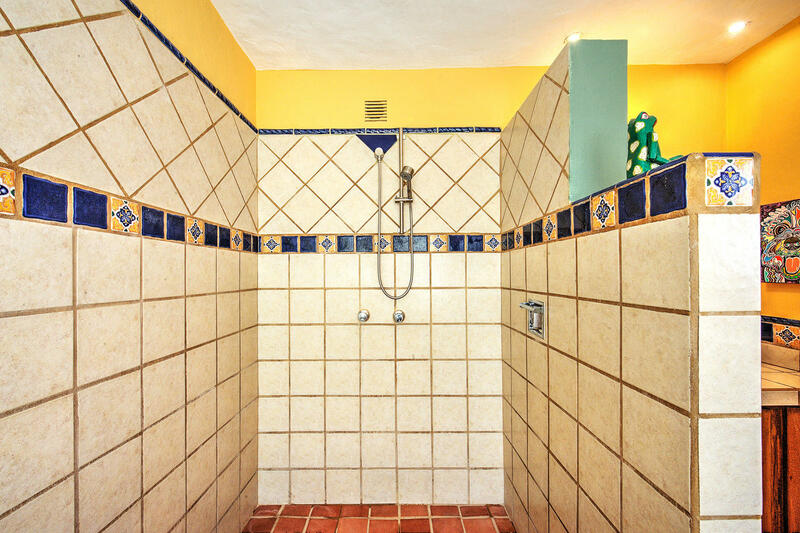 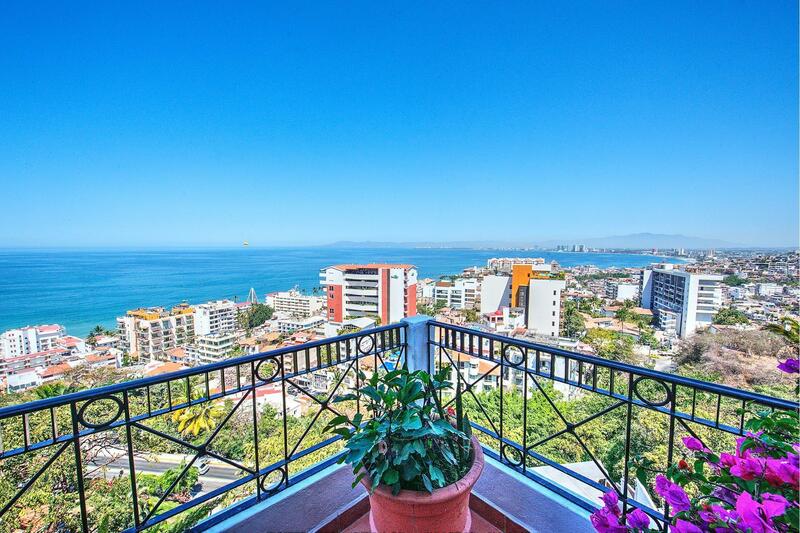 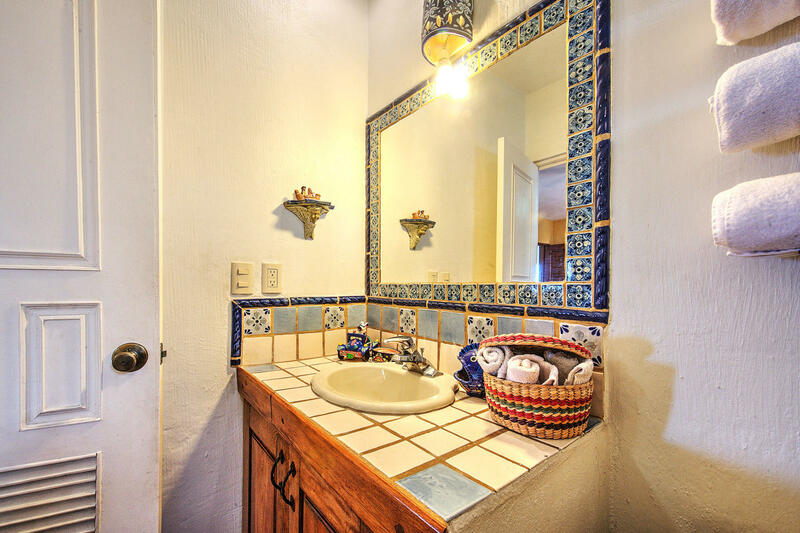 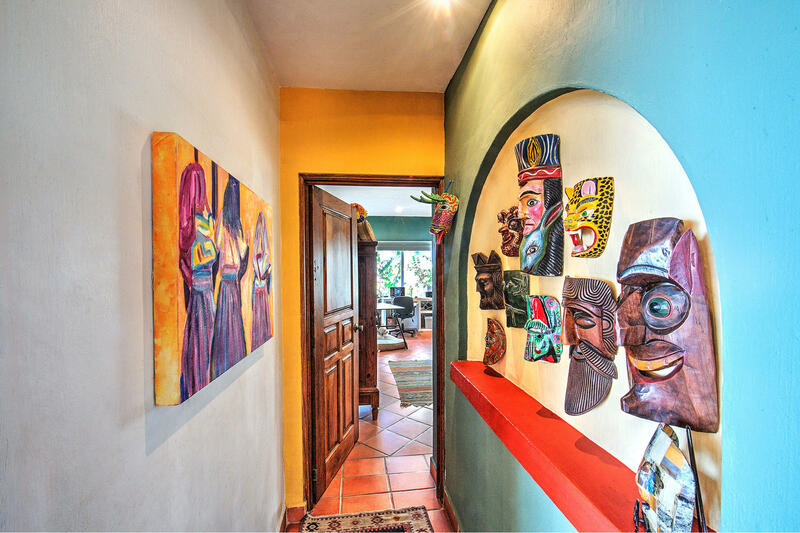 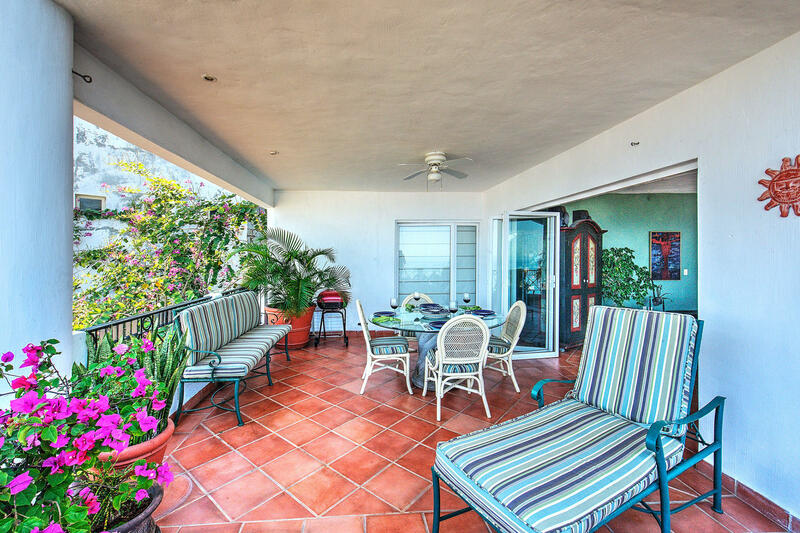 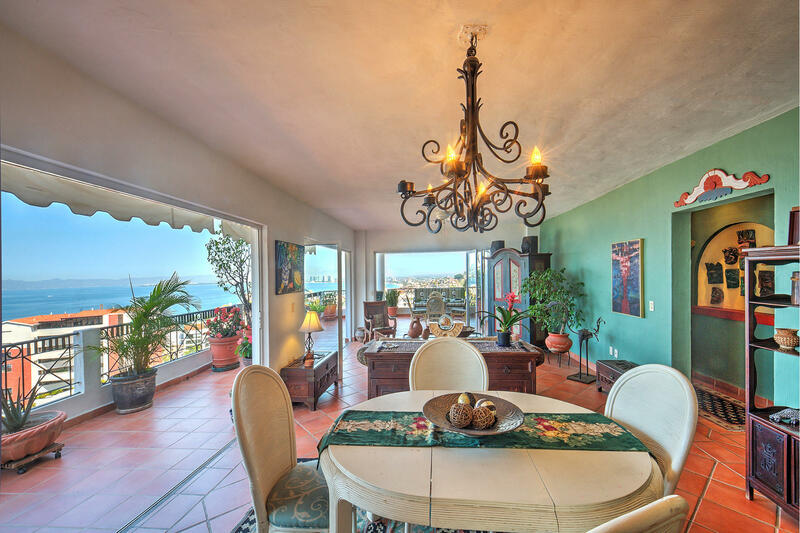 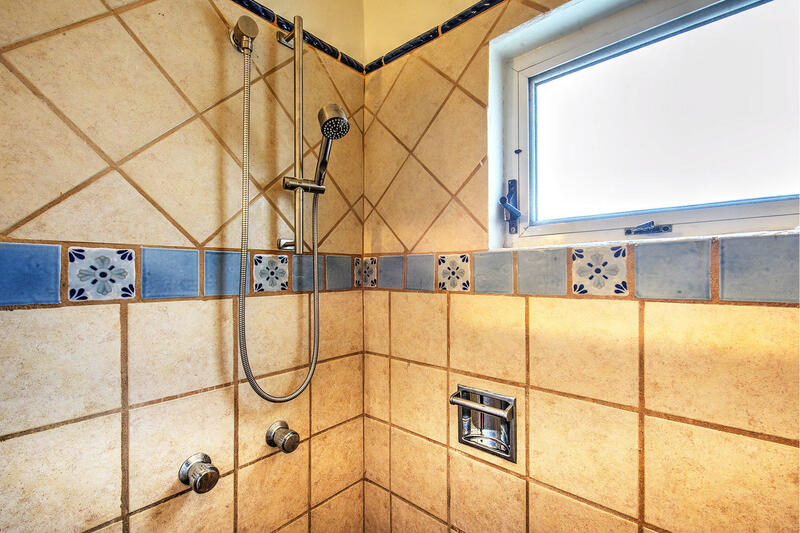 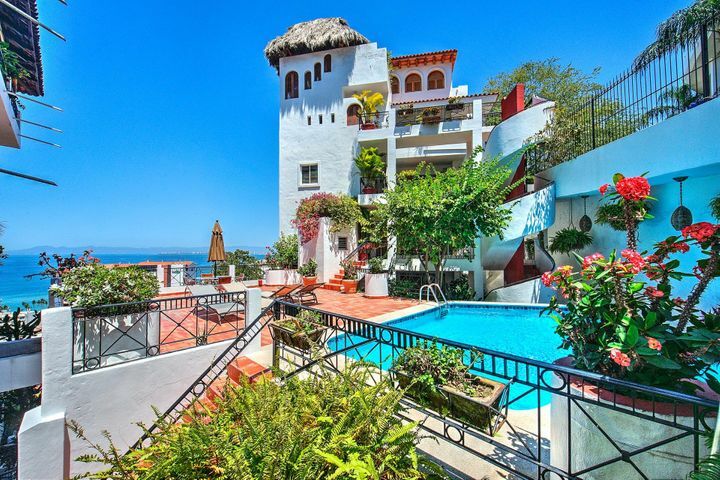 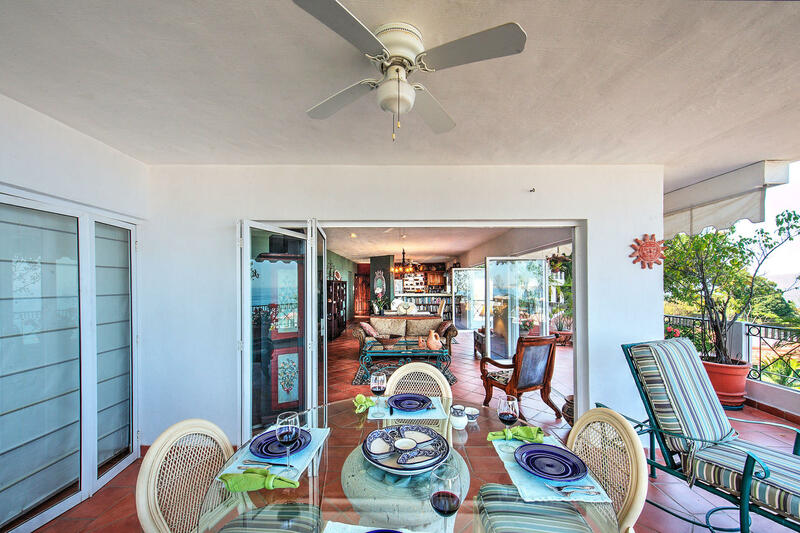 Elegantly decorated with all the warmth and charm of Mexican style, Casa Gracia is a large, one level 2 bed, 2.5 bath condo featuring Saltillo tile floors throughout. 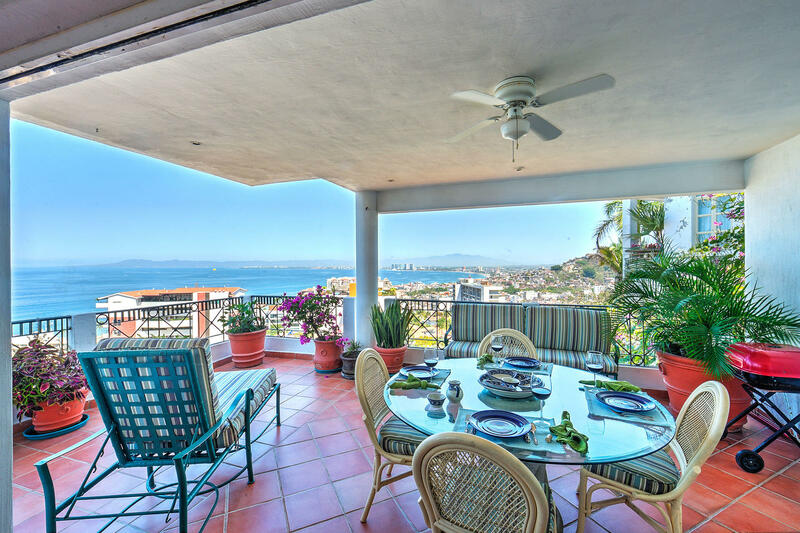 With floor to ceiling glass folding doors opening to the massive wrap-around terrace, the grand light filled dining and living area boasts incredible ocean and city views. 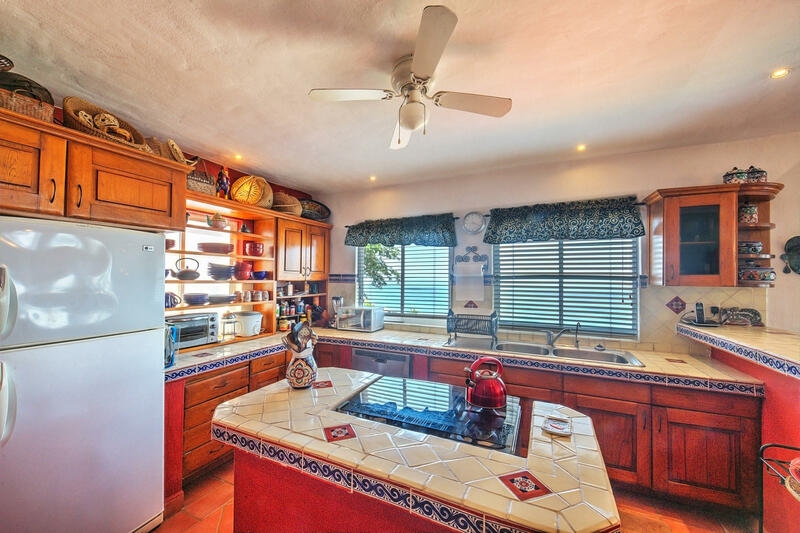 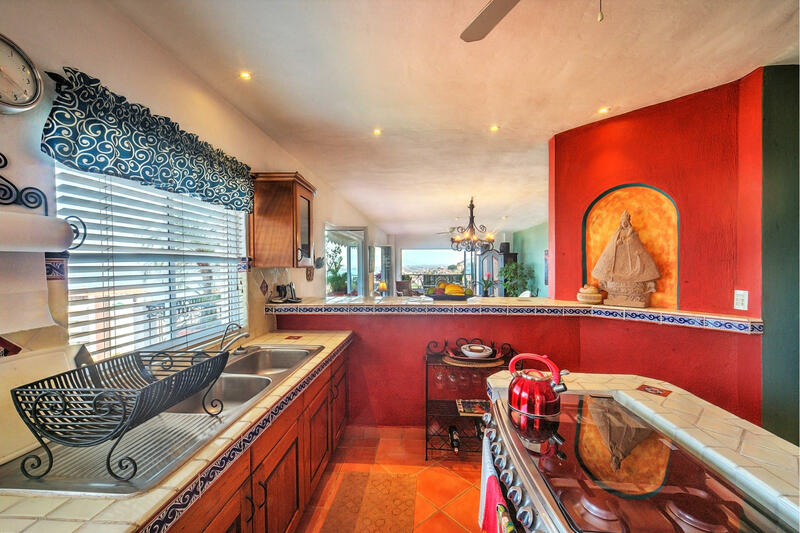 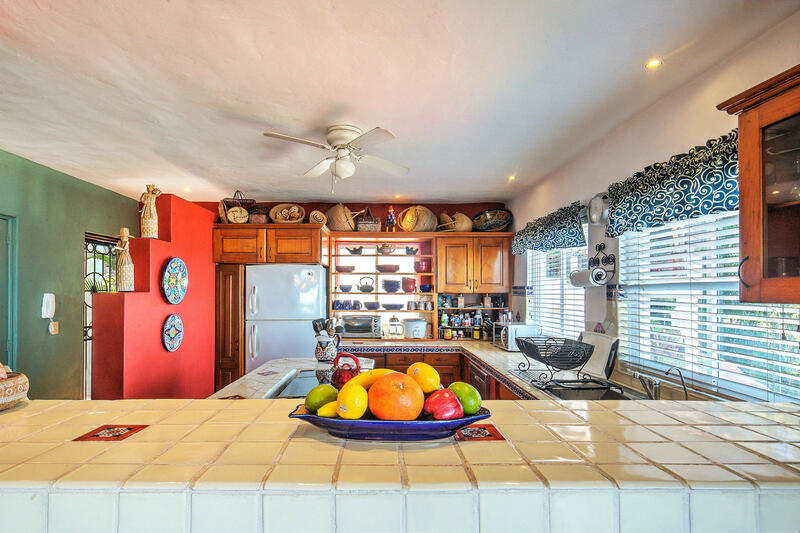 The colorful kitchen with Mexican tile accents and center island features an abundance of natural light. 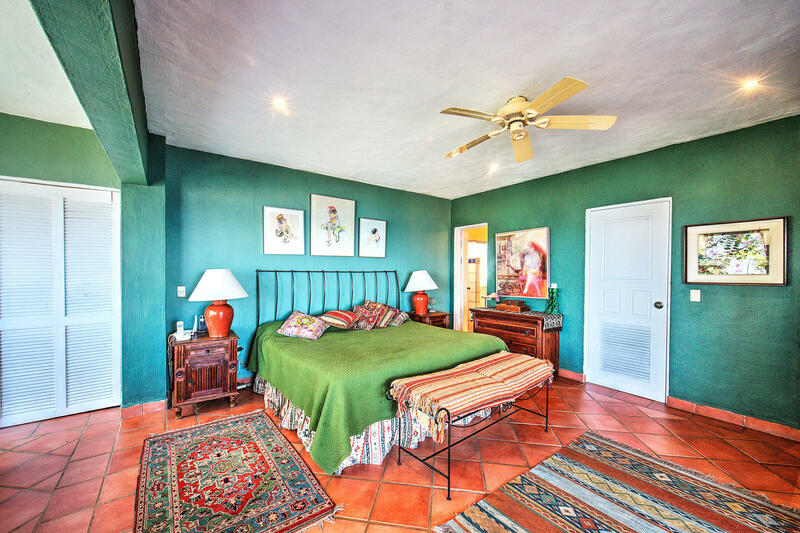 The large master bedroom and guest bedroom both offer ample storage and en-suite bathrooms. 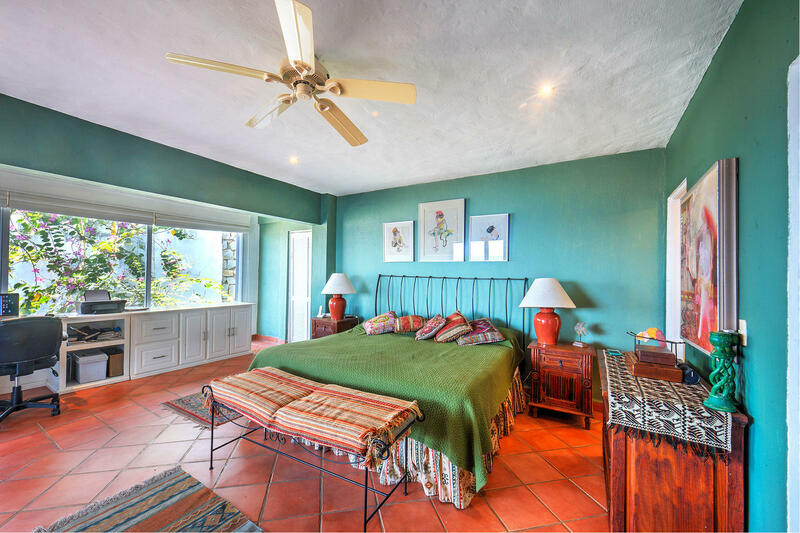 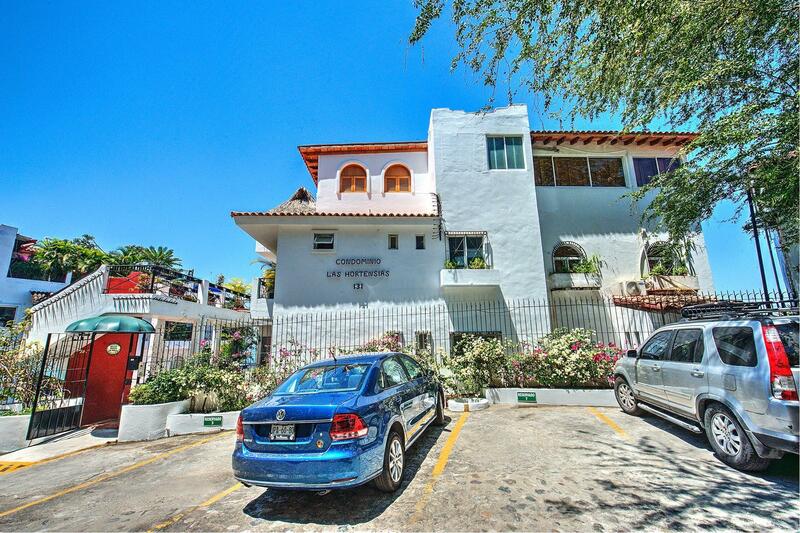 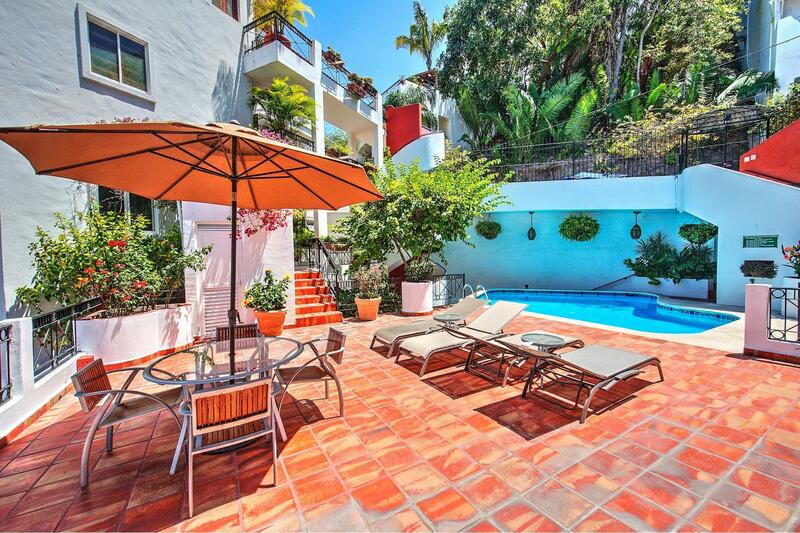 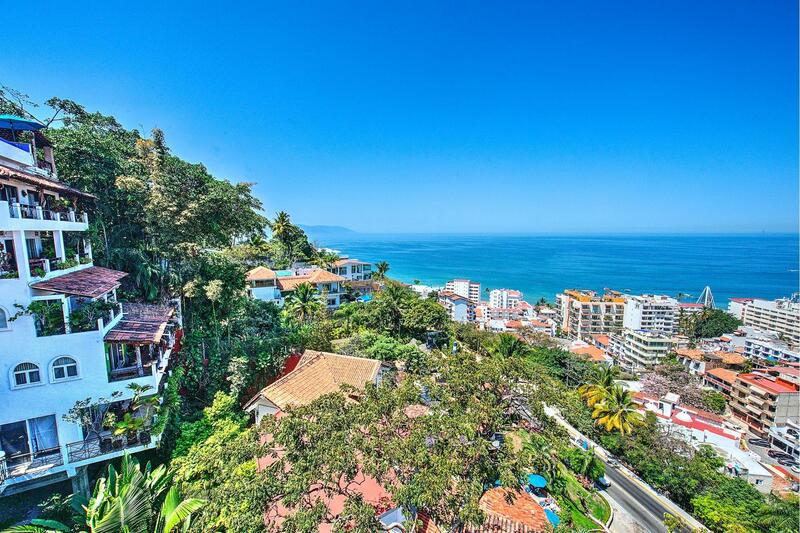 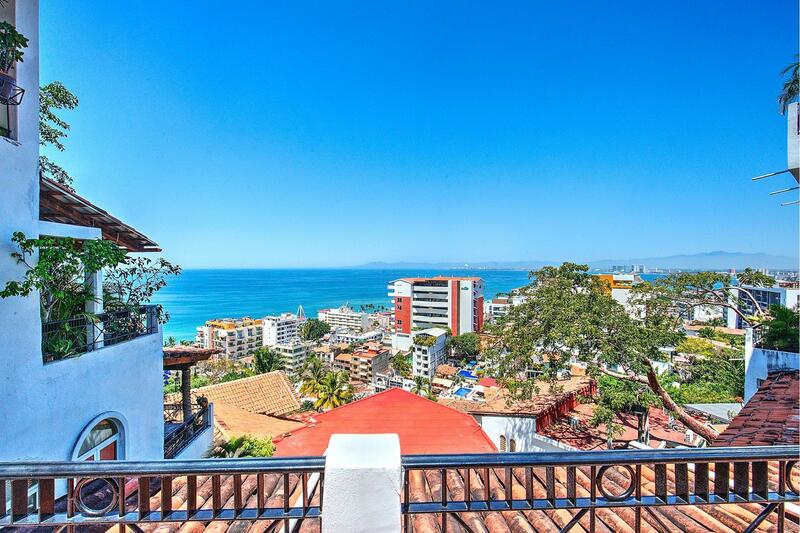 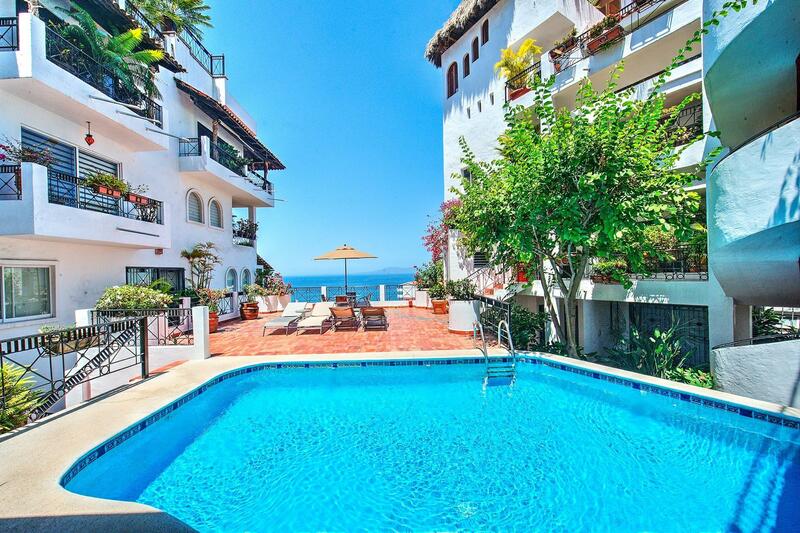 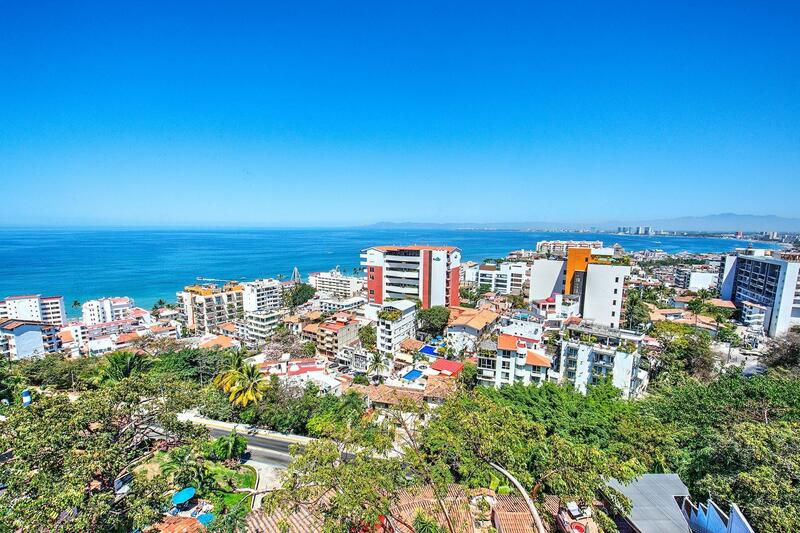 Located hillside in the desirable community of Amapas, Casa Gracia is within walking distance to Old Town. 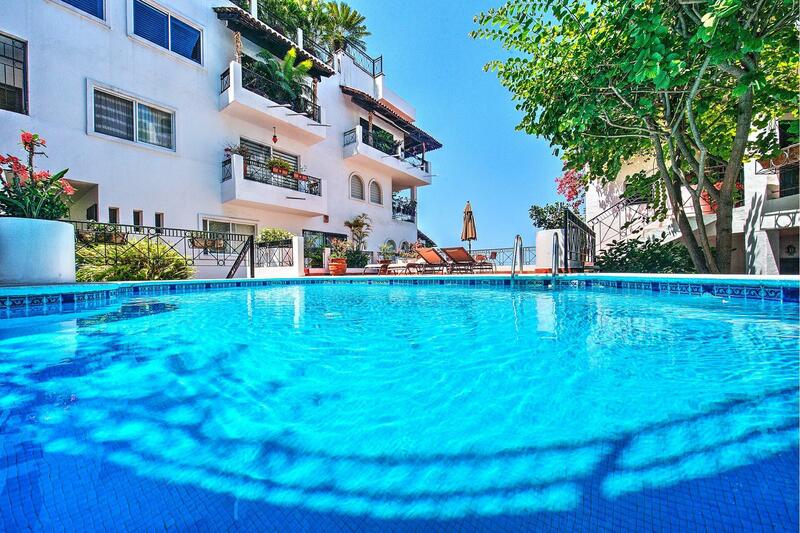 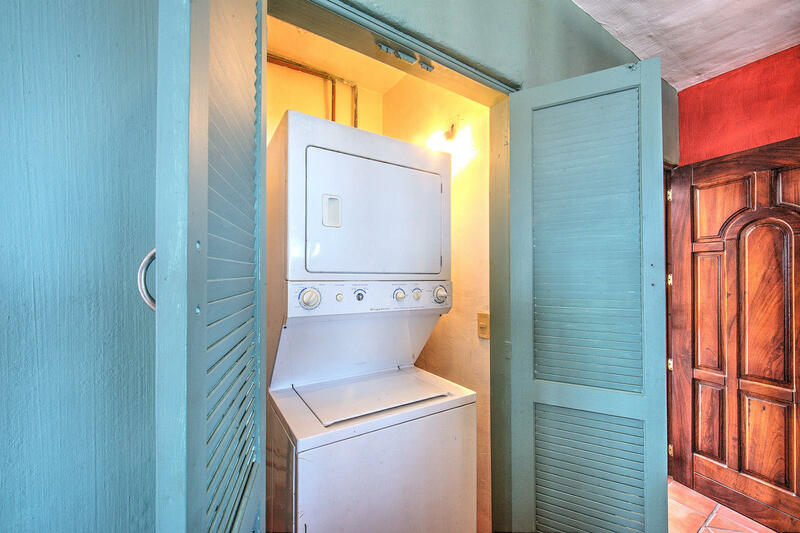 Features include mini-split air conditioning, laundry, parking, large common area sun terrace and heated pool. 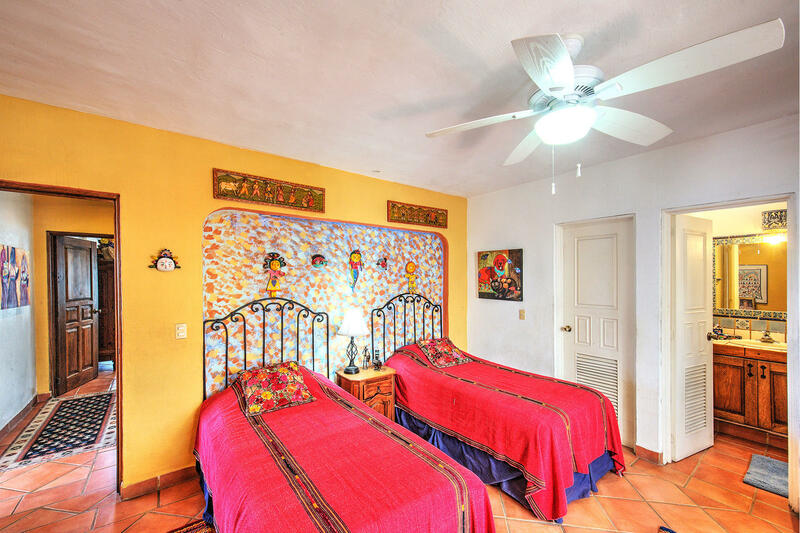 Partly furnished and pet friendly.